Take a look at some of the most effective tips for dealing with school exam related stress in children! From seeking admission in the best possible school to getting good grades to choosing the right career path, parents and kids these days are under tremendous pressure. The amount of stress that I am talking about here is not even funny! When I was a school-going child, I remember taking school tests and exams used to be extremely stressful for me. I would throw up in the morning of the exam day :(.. More than anything, it was the competitiveness and the desire of scoring better than other kids that would drive me more crazy. Different boards of education across the globe, from CBSE to GCSE, they can all be quite nightmare-ish for parents as well! The most challenging part of the school life for both children and parents is the board exams. But, now that I am on the other side of the story, I have realized that there are ways to ease the stress. As a parent, one of the best things we can do is to create a conducive home environment which can help kids cope better with school and exam related stress/anxiety. While education plays a vital role in our lives, it is also equally important for a parent to offer tips to their kids on how to take care of health and how to have fun while studying. So, parents, I have got some very helpful tips for you to tackle exam fever in kids. Stress is a state of mental or emotional strain or tension resulting from demanding circumstances. The repercussions (effects) of stress are reflected through the attitude (negative behavior) of a child. Feeling ‘sick’, irritable, loss of appetite, complaining more than usual, etc. are all signs and symptoms created by the chemical imbalance caused by stress. Young children, find it difficult to recognize and verbalize when they are experiencing stress.. Let’s find out more signs and symptoms and ways to deal with stress in kids. 1. Interact as much as possible: One thing that works really well is to talk to your child as much as possible. Ofcourse, without wasting much of their time. Discuss things, listen and translate, but not in a ‘preaching manner’. After each exam, encourage your child to talk it through with you. Again, I suggest you don’t dwell too much on the things that can’t be changed. Also, motivate them to do their best for the next exam. Some children may also begin to feel negative about the silly mistakes they could have made in the past exam. They might start to feel low on confidence and say stupid things to themselves. And that’s where you as a parent need to play an important role in not letting them feel bad. Hear them out and encourage them. Tell them about their awesome moments and how they made you feel so proud. Remind them of their positive highlights. That’s a stress buster for kids. Top tip: It’s okay to remind your child that feeling nervous is normal. They shouldn’t feel out of place or develop anxiety for feeling anxious. 2. Offer to help: This is really effective. Well! In most cases. Just before the exam or a day prior to the exam, be positive and get your kids to feel the same. Make sure they know that ‘not doing well’ or failing isn’t the end of the world and they may be able to take the exam again if things don’t go well. Offer to help, That’s what my mother did with me. She would help me revise. And, no, she never got furious if I couldn’t/didn’t remember certain topics! She handled it with a cool, which made it easier for me to approach her the next time for a revision session. Top tip: Help create a revision schedule for your child. 3. Encourage exercise/ yoga / meditation: A healthy, active kid tends to focus better. So, make sure your kid is active. Certain exercises and meditation can really relax them. It also boosts energy levels, and clear the mind from cluttered thinking. Encourage them to wake up early (especially a month prior to the examination) and take them out for brisk walk, cycling, swimming, etc. You can also play cricket, football or indulge in other ‘sweat-out’ hobbies with them. Top tip: A 20 minute exercise on the day of the exam and a bit of a laughter therapy can put your child in a positive mood. 4. Prepare light, healthy and delicious food: Yes! There is something called as food for brain :). Besides, it’s possible to stay calm and carry on eating! 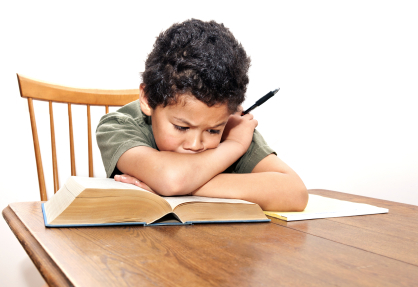 Stress can have an adverse effect on your child’s appetite and skipping meals will only worsen the situation. As a parent, you can prepare light, healthy (and yummy at the same time) meals high on energy, but low on salt and sugar. From whole-grains and seeds to tomatoes and sage, make sure you are feeding your little one’s with good food. Stock your kitchen cabinets and fridge with healthy snacking options, such as oat bars, baked beans, fruit cream, egg-avocado-nut salad, sprouts, vegetable soups and fresh sandwiches. Top tip: Make sure the child is hydrated. 5. Indulge in fun things after exams: Some of the best activities to do with kids after they have come back writing an exam is to treat them. Take them out to their favorite restaurant or treat them to an ice cream. These can be a real encouragement (and an incentive too) for the next time they have an exam. I am not saying that you should bribe them or tell them that this is a reward program of the sorts (while, it truly is). But, try not to use such words/statements in front of them. Top tip: Tell your child that you are only trying to encourage them to work for their own satisfaction, offering small, frequent treats. Now, there is no more asking yourself or others about how to deal with school stress. Hope that these tips will prove out to be really effective in dealing with stress and anxiety in your kids. Here is wishing your child all the luck and prayers for a healthy life ahead! Really constructive and easy ideas that can be implemented quickly!